This may mean that there's a problem with the Xbox Live service, or with your Microsoft account. If you've just created your account on Xbox.com but have not added security information, you’ll need to do so before you download your profile. This helps ensure that if you ever forget your password or lose access to your account, you can recover it. As extra security, Xbox 360 requires that you add two alternate contact methods. Sign in to the Security page with your email address and password. Select UPDATE INFO under Update your security information. Select either a phone or email to add, and then follow the steps provided. Repeat Step 3 with a second email or phone number. Return to your console and try to download your profile again. If you've changed your payment option recently, make sure it was correctly updated in your billing account. If your payment option has expired, you'll have to change to a new credit card or add another payment option. To change or update your payment option, see Add, update, or remove credit cards and other ways to pay, and then follow the instructions. This issue can occur if there's a problem with your Internet connection. 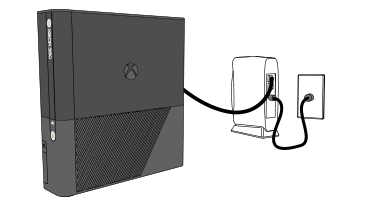 Try troubleshooting your connection by using the Xbox 360 Connection Error Solution. In a browser, go to your My account page. Type your current password and a new password, and then click Save. On your console, sign in to your Microsoft account and try to download your profile again. Delete the profile from your Xbox 360 console. For instructions, see How to add or remove an Xbox profile. Clear the system cache. To do so, see How to clear the cache on Xbox 360. Would you like to contact Support regarding the "Error 800704DC occurs when downloading your Xbox Live profile on Xbox 360" issue you were reading about or a different issue?